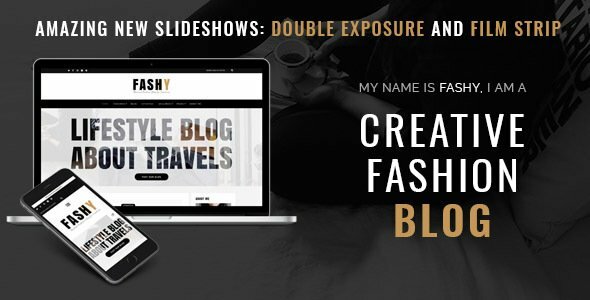 Fashy is a classy and modern WordPress Fashion Blog for all the Creatives out there who strive towards minimalism. Its retina ready and fully responsive design will look amazing and work fluently on all the devices, mobile, tablet and desktop. To save time and start your online experience even easier and quicker, Fashy comes with 6 pre-defined demos that you can install with one simple click of your mouse or trackpad. While it was built with clean and minimal design in mind, this is not the mandatory feature Fashy is the proudest of. The main focus of this outstanding WordPress Fashion Blog Theme is your content. In combination with its neat design, it will help you showcase YOUR content both texts and photographies in the most beautiful way. Your imagination is the only limit. Fashy is fully responsive and retina ready. It will look amazing on any mobile device.